Purchase online A3120 IGBT Gate Drive Optocoupler in India at low cost from DNA Technology,Nashik. 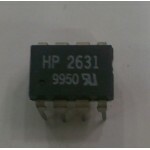 The HCPL-3120 consists of a GaAsP LED optically coupled to an integrated circuit with a power output stage. This opto-coupler is ideally suited for driving power IGBTs and MOSFETs used in motor control inverter applications. The high operating voltage range of the output stage provides the drive voltages required by gate controlled devices. The voltage and current supplied by A3120 IGBT optocoupler makes it ideally suited for directly driving IGBTs with ratings up to 1200 V/100 A. 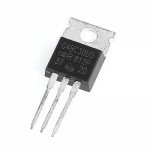 For IGBTs with higher ratings, the HCPL-3120 can be used to drive a discrete power stage which drives the IGBT gate. IRG4BC30UD Ultra-Fast CoPack IGBTIRG4BC30UD is an IGBT with Ultrafast Soft Recovery Diode.Features o..
IRG4PC40UD Ultra-Fast CoPack IGBTIRG4PC40UD is an IGBT with Ultrafast Soft Recovery Diode.Features o..
TC4427 Power MOSFET DriverThe TC4427 is improved version of the earlier TC427 family of buffer/drive..
TC4420 High Speed MOSFET DriverThe TC4420/4429 are 6A (peak),single output MOSFET drivers. 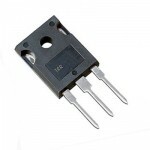 The TC442..
TLP350 Optocoupler MOSFET & IGBT DriverThe TOSHIBA TLP350 consists of a GaAℓAs light-emitting di..
HP2631 Dual Channel OptocouplerThe 6N137, HCPL-2601/2611 single-channel and HCPL-2630/2631 dual chan..